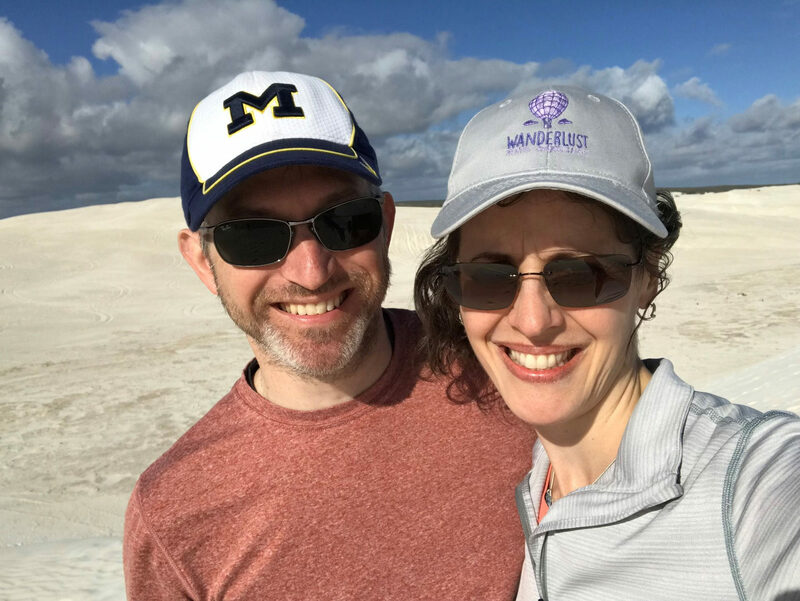 Since our last post, we visited Adelaide and Kangaroo Island, both in South Australia. Adelaide is known for the nearby wine region where they primarily produce Shiraz. 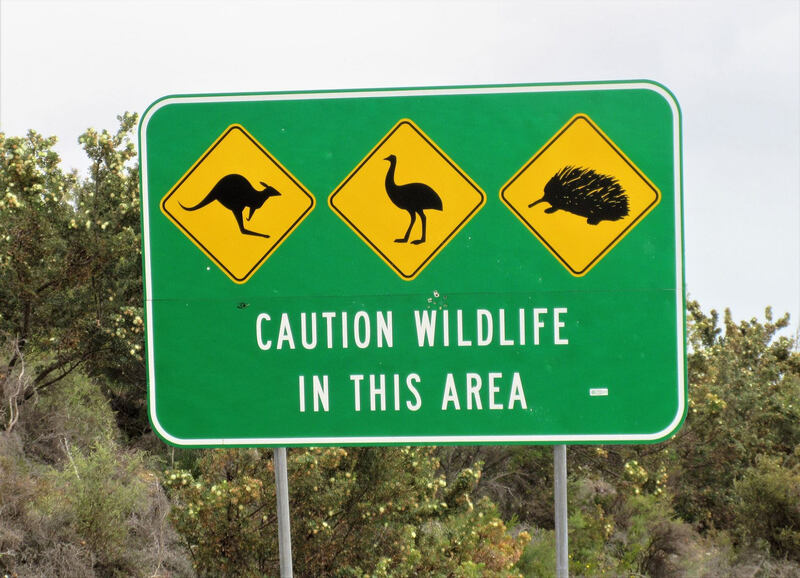 Kangaroo Island lived up to its billing as we saw kangaroos, wallabies, koalas, sea lions, and an echidna (see the last image on the road sign attached). We also did a lot of star-gazing which for 2 New Yorkers, is a novel experience. We have since arrived in Perth, the capital of Western Australia, where we found the nicest, cleanest and most user friendly laundromat ever. We can’t overstate how important this is when traveling for 2 months since we packed less than most people take on a long weekend. 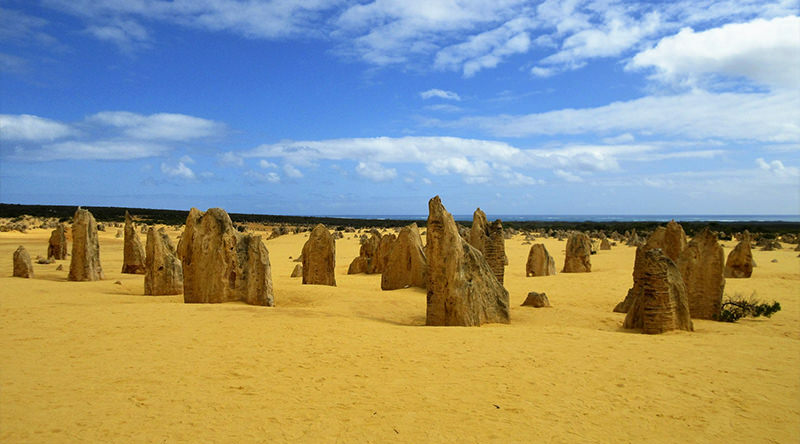 Today, we explored Nambung National Park, known for its “pinnacle rocks” (see photo), whose origins scientists still do not understand. 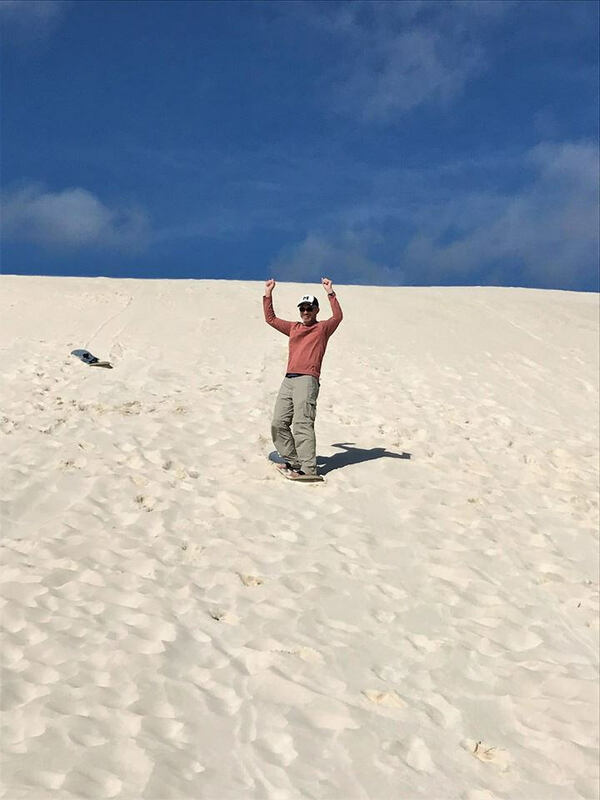 We finished the day with an attempt at sand surfing at the Lancelin sand dunes. Let’s just say, we laughed a lot and came home full of sand. 2 more days in Australia and then off to Asia! 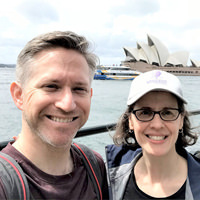 The Big Trip Follow our clients Susan and Steven Lebowitz and they embark on a 7 week journey to Australia, Myanmar, Vietnam, and Cambodia.